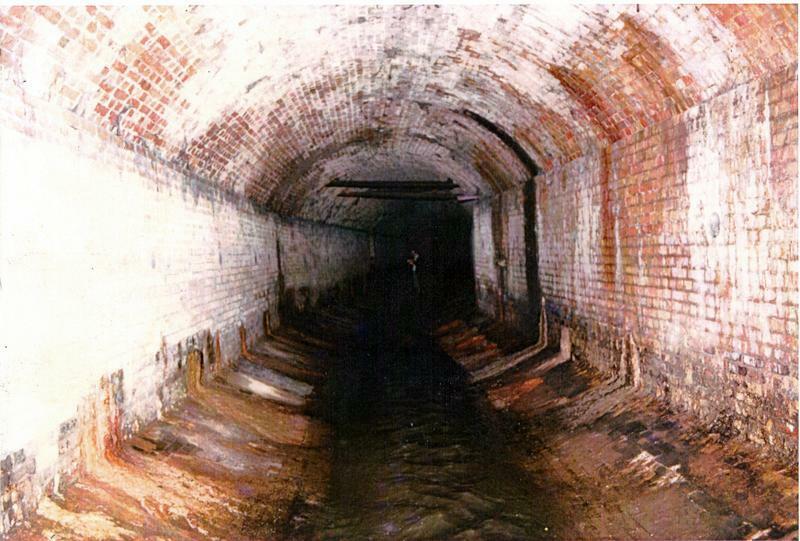 This photo below shows the Fleet Tunnel that runs under Fleet Street in London. It was built to cover the Fleet river which at one time was open, the same as the Great Whyte in Ramsey. 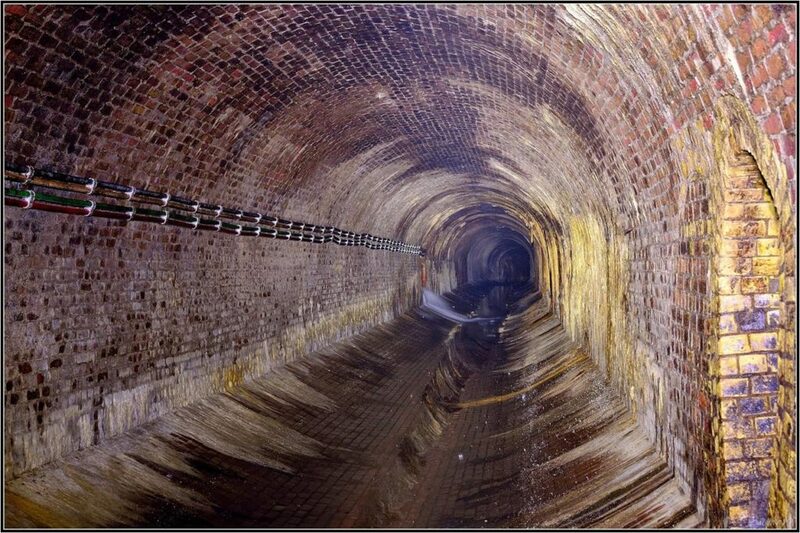 Obviously Ramsey’s tunnel is not as big, but the construction of the two tunnels if you look closely they are very similar especially the curved floor. This design helps to speed up the water flow through the system.